I ran across Stephanie’s and Rebecca’s co-hosted project, Try Something New Every Month (TSNEM) for 2016, in December, and I decided to participate because there are a lot of sewing techniques I have never tried and would like to. You can read my original post talking about the project HERE, and the post that lists what projects I’m going to try each month HERE. Last month my TSNEM project was hand beading, and I used the project to add embellishments to a medieval inspired dress I made for the LARP group Todd and I belong to. This month’s project is French Seams, so I didn’t have a specific item I am going to use to try this technique. 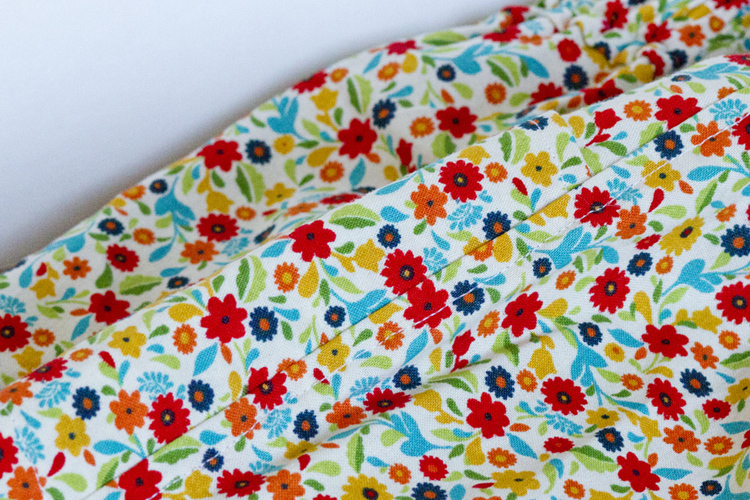 I recently tested the Parkside Shorts + Skirt pattern for Caroline Hulse at Sew Caroline, and I decided that would be the perfect item to try with. I was testing the XS size, so I made both the shorts and skirt for my youngest daughter, Reagan. Incidentally, she loves them, and I loved making them! They are a project that would be great for those just learning to sew, but there are also elements that can be added to challenge the more seasoned seamstress. 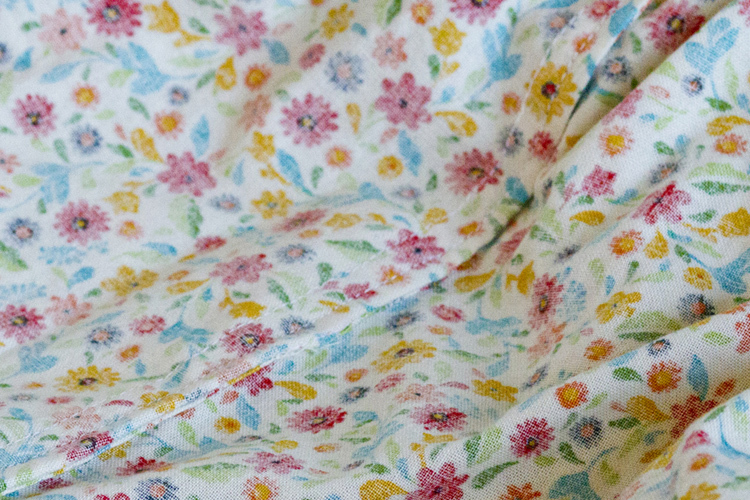 The seaming on the floral fabric of the skirt is much harder to see than it is on the shorts, but it is there. After finishing the side seams, I pressed them towards the back of the skirt and then top stitched 1/4″ away from the seam. I think the topstitching adds a nice little detail to the finished skirt. Though I just noticed the little bit of boogered-up thread at the hem – oops (boogered-up is totally an industry term 🙂 ). 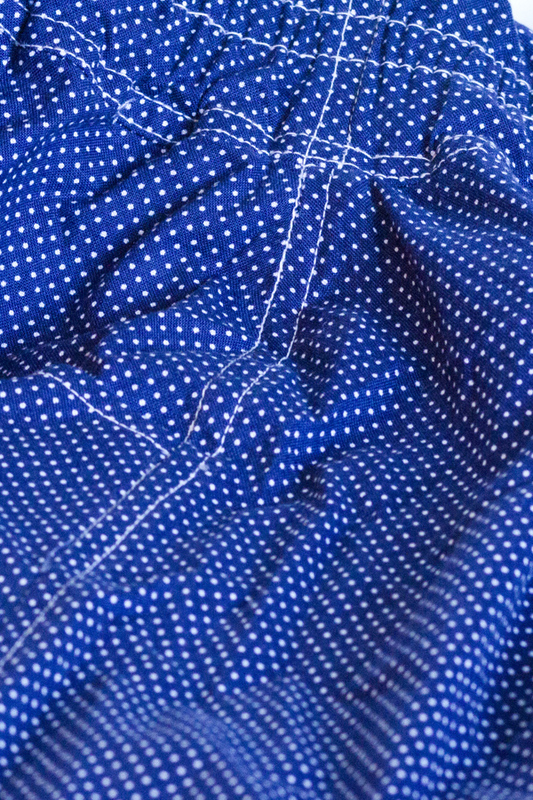 I followed the same technique for the shorts, but in addition to top-stitching the seam down after finishing it, I also topstitched on the original seam line so there was a double-line of stitching at the side seams. 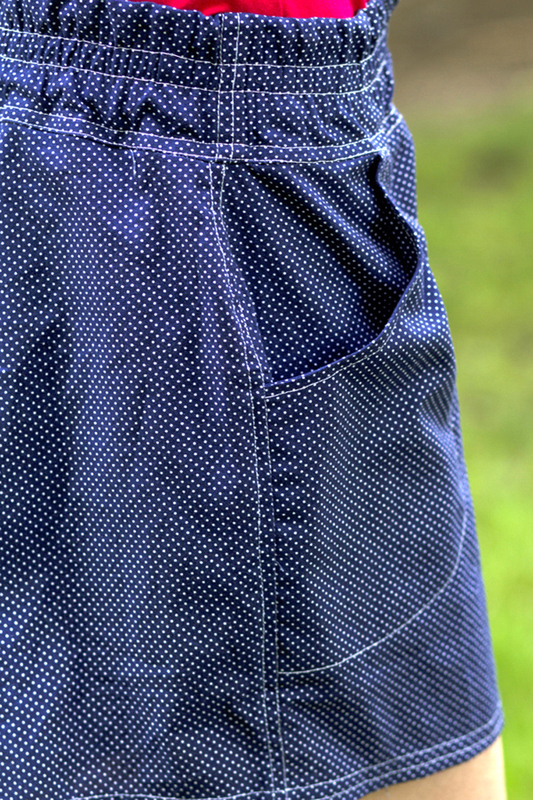 I love how the stitching contrasts with the navy polk-a-dot print and adds a little something to the shorts. All in all, I’m really happy with how easy French Seams were to master, but to be honest, I kind of feel like a cop-out because they really weren’t very challenging. I have decided that in order to “make-up” for that, I will try to use them on all the projects I’m currently working on. Next month my challenge is to make and use piping, which I am really excited for! I can imagine all the possibilities once I master the technique! This French Seam project is my eighth finish out of many I have on My Finish-A-Long Quarter 2 Project List. I love the motivation I have given myself by participating in the FAL! 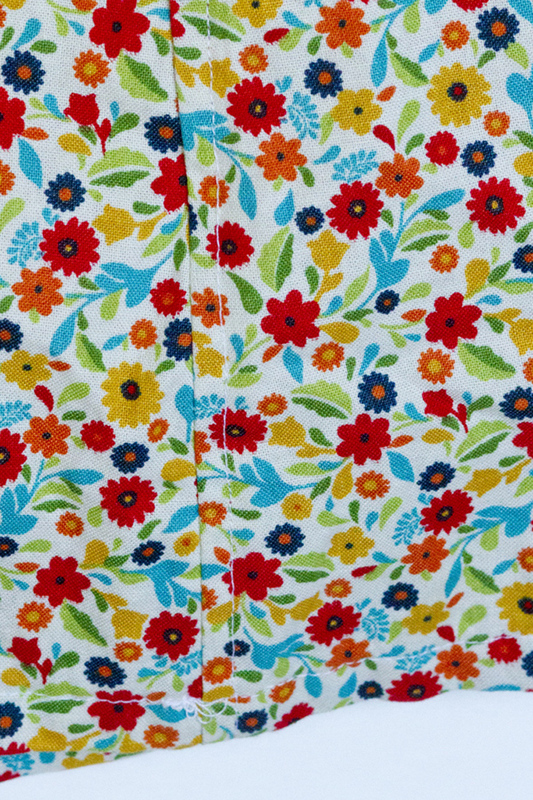 French seams are awesome – I’ve not really grasped the nettle and learnt to use the overlocker so I try to use them as much as possible – I just wish I could find a way to make them work when sewing side seams and sleeve seams on a dress! I don’t have a serger or overlock machine, and I hate finishing seams! I am so excited I finally taught myself how to do these so my seams can look pretty! I am sorry to say, but I do not think those are French seams. 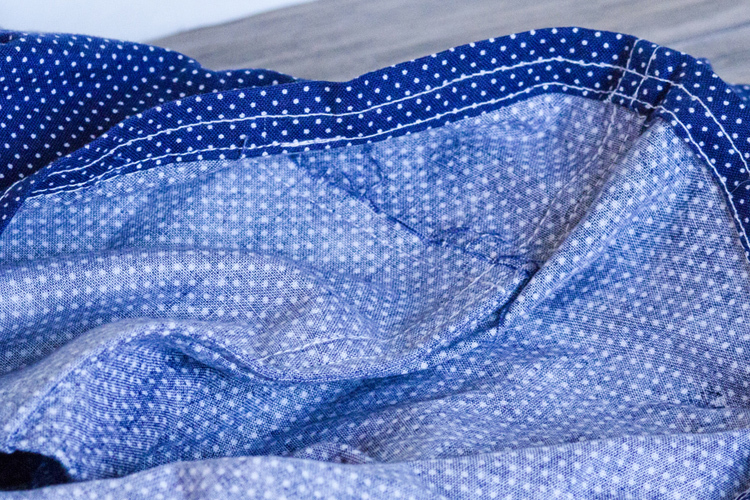 I think, for French seams, you first sew wrong sides together with a narrow seam allowance, then turn the seam, and sew another seam with right sides together, wider seam allowance. That is actually what I did, then I topstitched from the outside to add a bit of detail to the shorts/skirt. Oh, I am sorry. I think I read it too quickly. I was looking for the steps, but then you said you pressed and top-stitched the finished seams, and the French seams had already been done at that point. MY MISTAKE. Your work looks very nice. I have been experimenting with flat felled seams quite a bit lately, but I am starting to think that the French will be a tad easier/faster. Also, Reagan is a good model, and I love her hairstyle. LOL, no worries. Thank you! Reagan’s hair is actually growing out now, she chopped it off last summer – razored the back and sides and everything – it fits her spunky free-spirit! I loveee french seams. Something doesn’t have to be hard to count as new 😛 Piping is fun! I’m excited to try piping! I love the extra little oomph it gives clothing and other projects. They both look great! 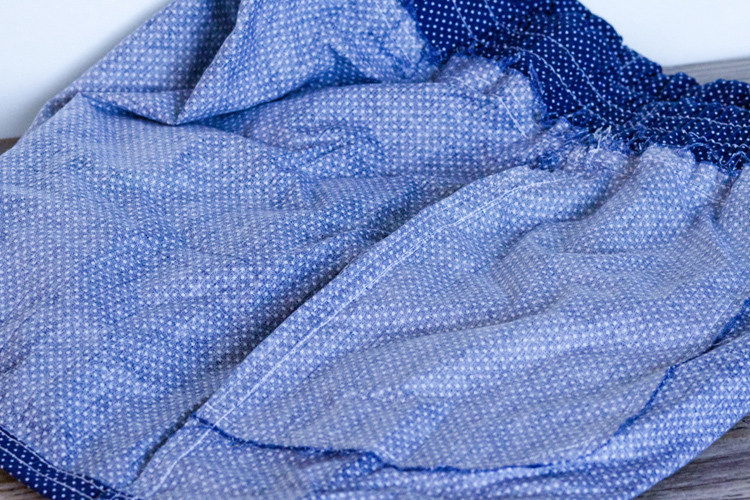 I love French seams, such a great way to avoid zig-zagging all those seams, too! Thanks for participating in the 2016 FAL on behalf of the global hosts! Thank you very much! They just make everything look so much prettier!